Love The Sport Of Wrestling!" 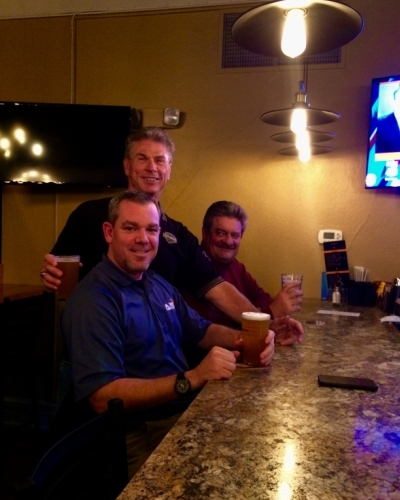 (L-R) John Sprenkle, Brian Gross & Matt Sprenkle. (L-R) Austin Hoffman, Ivan Vega, Bryce Weaver, Nate Brown, Tyler Bard. 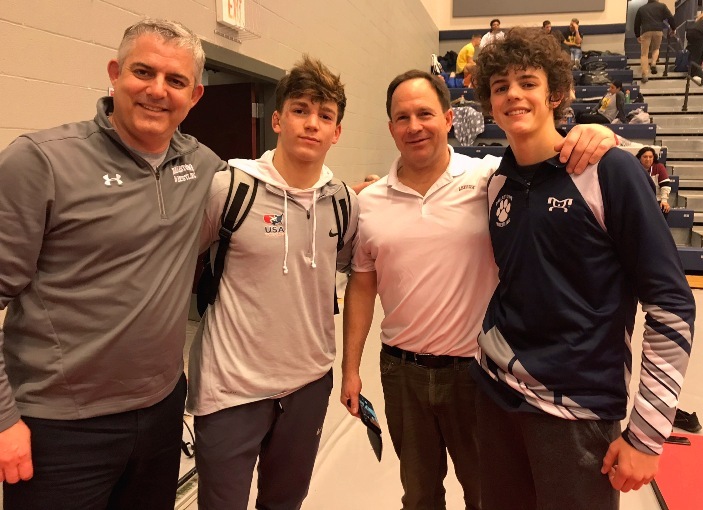 *Bard, Brown & Weaver qualified for the PA State Greco Tournament. *Bard also qualified for the PA State Freestyle Tournament. 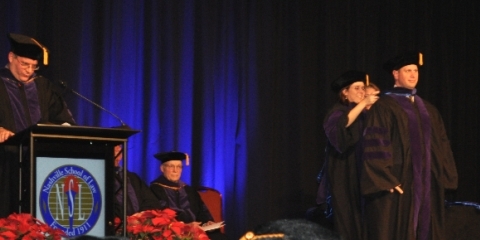 Carly Gross (right) with father, Brian Gross. Carly (WY) placed 2nd. 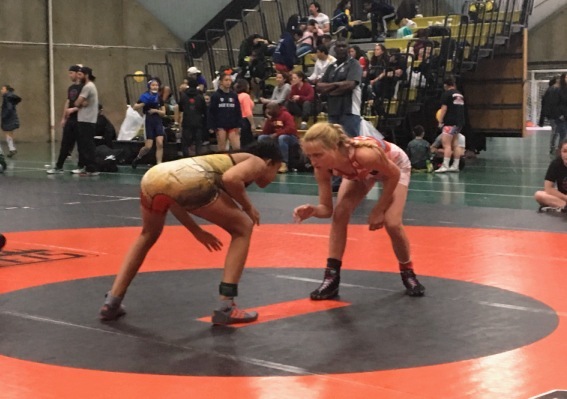 Carly went 2-1 w/2 falls on the day! Carly Gross (3rd from right)... Carly (WY) placed 2nd. (L-R) Jason Turnbull, Sammy Toggas, Tom Toggas & Cael Turnbull. 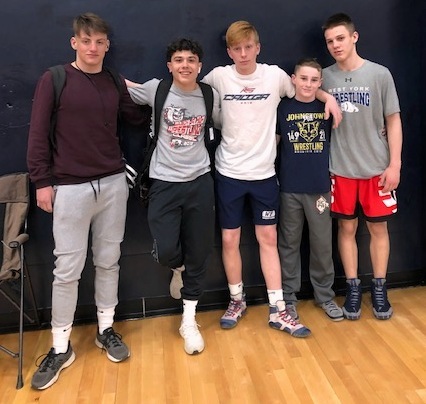 Dallastown's Cael Turnbull placed 5th & Sammy Toggas placed 4th! 17 Teams (68 players) Thank You! The WY Wrestling Alumni Golf Page! 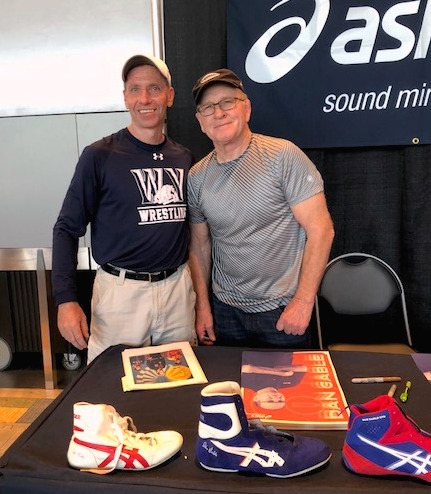 May 2018 ▪ Bruce Weaver (Bryce's dad)... with Dan Gable @ the VA Duals. 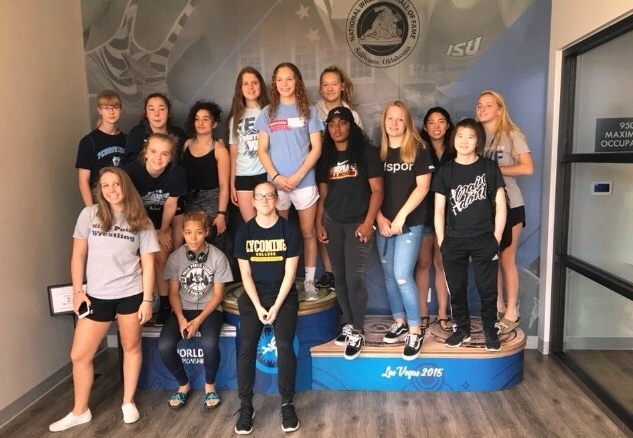 2018 ▪ WY's Carly Gross (right)... Freestyle in Gotham City going 1-2. 6/23/19... 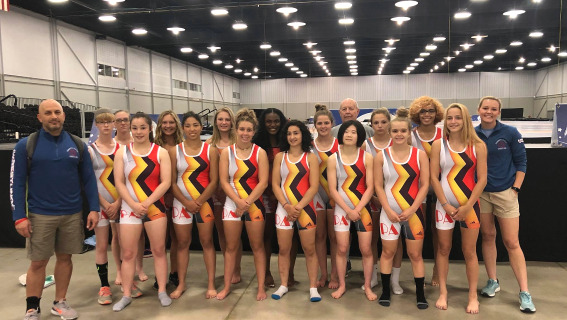 Team PA finished with a 3-5 record at the Women's Nationals. 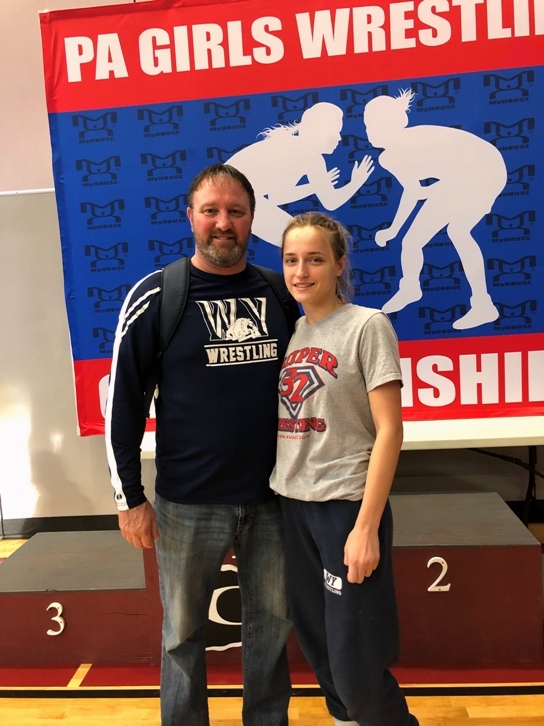 WY's Carly Gross finished the tournament with a 4-2 record w/ 2 falls. 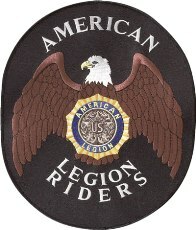 The Nationals were held @ the Cox Business Center in Tulsa, Oklahoma. 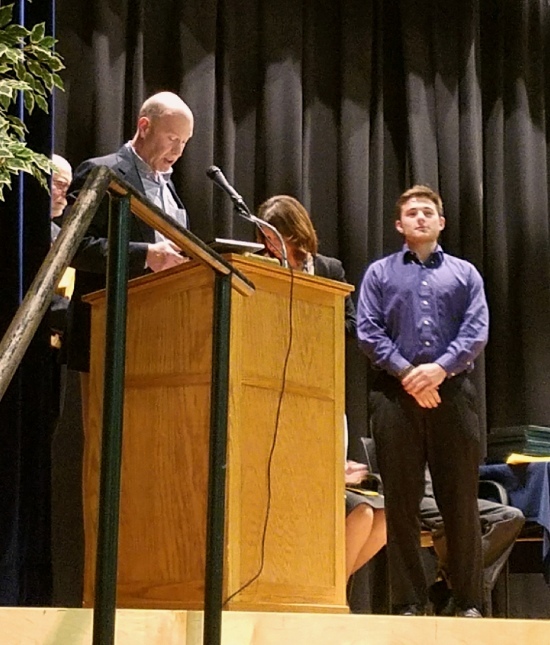 Memorial Scholarship Award of $600 to West York Senior, Nick Spadafora. 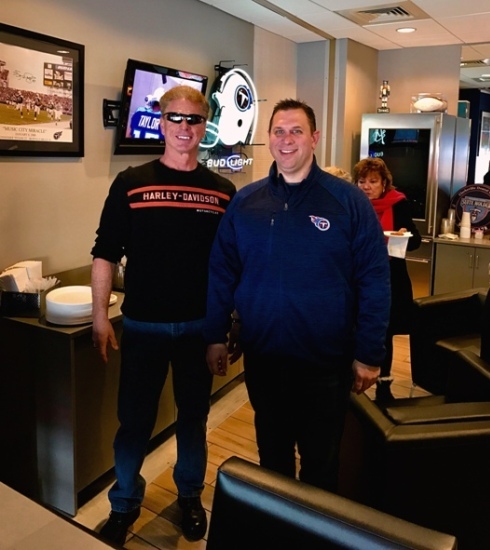 12/31/17... Don Lehman & Eric Lehman ('95 & 96 PIAA State qualifier) arriving at Eric's Titans suite! 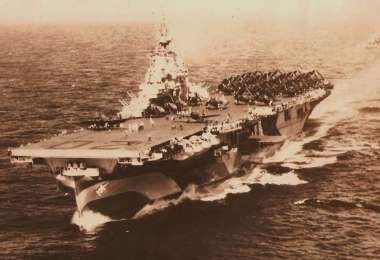 capable of winning wars, deterring aggression and maintaining freedom of the seas. medical attention. 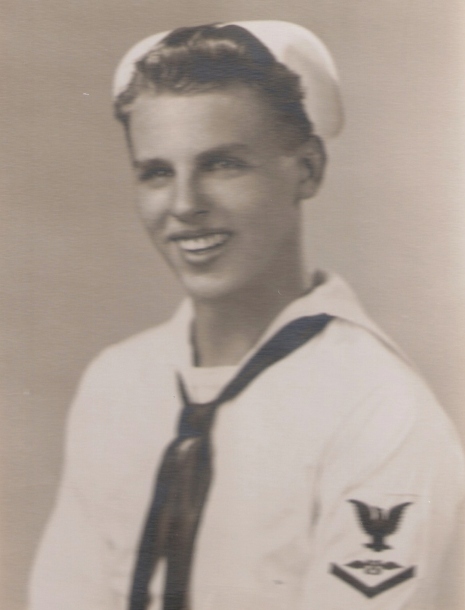 John Wanat, Jr. (my father-in-law) was one of those survivors. Rest in Peace, Mr. Wanat. I always enjoyed our talks! 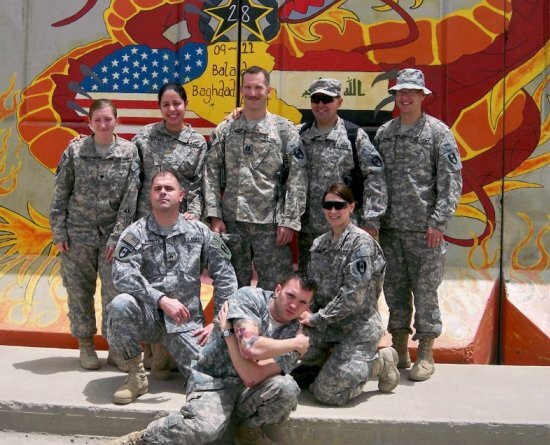 ∙ US Army Major... *Dr. Kim Lehman, in Baghdad, Iraq @ Camp Victory - 2010. 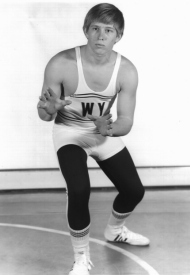 *Kim is married to WY '96 Wrestling Alumnus - Eric S. Lehman, Attorney @ Law. 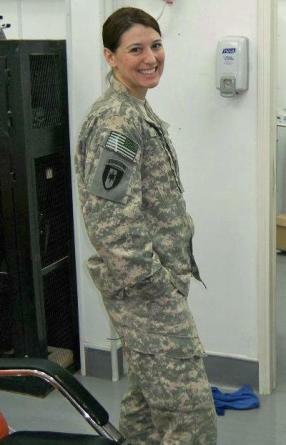 *I'm very proud of my daughter-in-law!! on the USS Annapolis AGMR-1 West Pac... and, also on the USS Aucilla AO-56 in Norfolk. 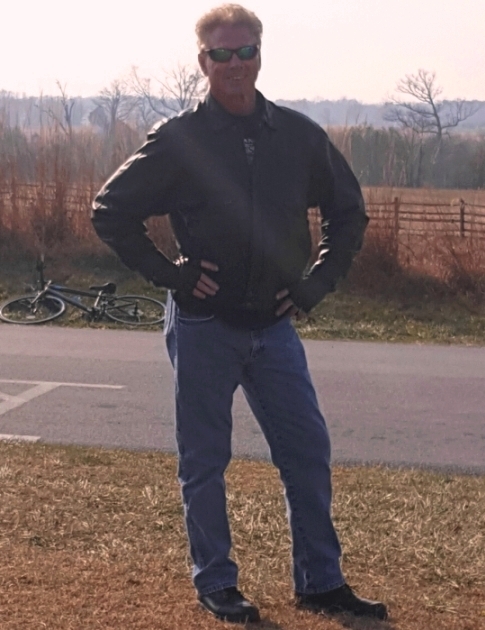 Dave's tour of duty took him into Vietnam... north of the DMZ (Tonkin Gulf) 1968-69. 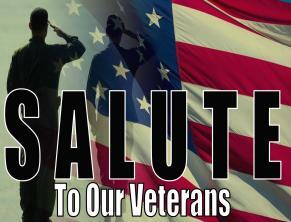 Thank you, Dave... for your service to the United States of America!! 2015 Bulldog Open Champions w/12-under 58... @ Cool Creek GC. 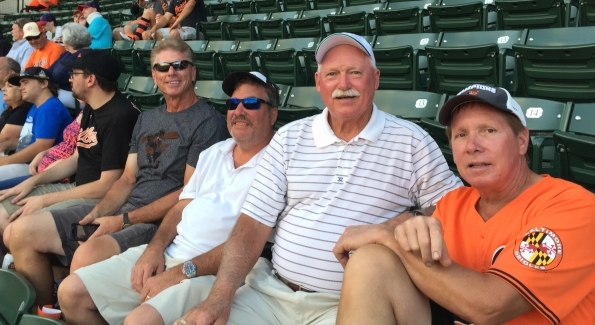 (L-R) Jeff Spangler, Dave Carley '66, Greg Reiber & Fred Lehman '66. 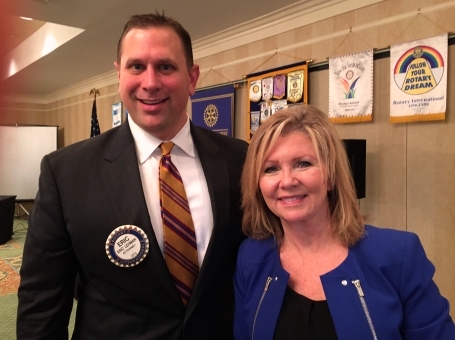 with Denise Sandifar & Eric Lehman of the Lehman/Sandifar Law Firm. Tom Elling's 2017-18 PA Wrestling Handbook - Order Now! Bald & Fat Tournament. K.C. took 2nd in the Full Decomposed Division. @ Lehigh University. Toggas was a National Prep Champion for Blair!! 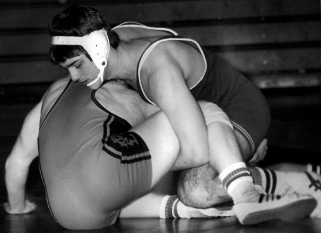 Lehman wrestled @ East Stroudsburg, and wrestled in the '77 EIWA's. 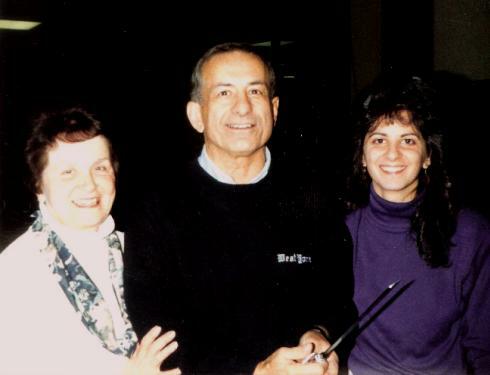 Rest in Peace... Mrs. "T"
(L-R) Mary Jane, John S. "Moc", Stephanie & Coach John T. Toggas. "A Chat w/Mary Jane & Coach John T. Toggas"
The Lehman Brothers - Bob, Fred (YJC/UMD) & Don (ESSC). 5/12/17 - @ Grandview/BrewVino... WY's Don Lehman & York Catholic's Joe Borsa. ∙ York Catholic's Joe Borsa (180lbs.) is 2nd from right back row. Looking Back... 44 Years Ago! held at York College's Gym, Saturday. 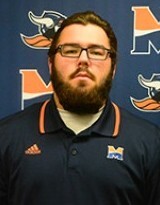 who represented East Stroudsburg State College, is a heavyweight. 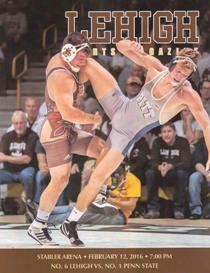 School graduate and a former PIAA State A Mat Champion. with East Stroudsburg State College second with 51 points. and Elizabethtown College was fourth with 41 points. York College of PA 46pts., Elizabethtown College 41pts. 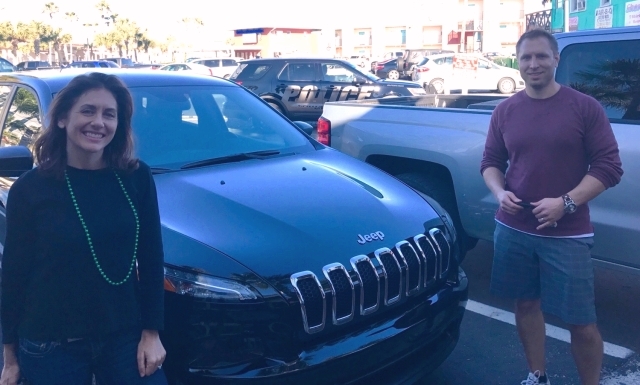 March 2017 - Todd Lehman and wife, Kelli... pick up Todd's new Jeep in Jacksonville, FL. 197lbs: #1 J'Den Cox, Missouri over #2 Brett Pfarr, Minnesota -- 8-2 dec.
285lbs: #1 Kyle Snyder, Ohio State over Connor Medbery, Wisconsin -- 6-3 dec.
125lbs: #4 Darian Cruz, Lehigh over Ethan Lizak, Minnesota -- 6-3 dec.
133lbs: #4 Cory Clark, Iowa over #2 Seth Gross, South Dakota State -- 4-3 dec.
141lbs: #1 Dean Heil, Oklahoma State over #6 George DiCamillo, Virginia -- 6-3 dec.
157lbs: #1 Jason Nolf, Penn State over #3 Joey Lavallee, Missouri -- 14-6 maj. dec.
174lbs: #5 Mark Hall, Penn State over #3 Bo Jordan, Ohio State -- 5-2 dec.
184lbs: #2 Bo Nickal, Penn State over #1 Gabe Dean, Cornell -- 4-3 dec. Team Points: Penn State 146.5, Ohio State 110.0, Oklahoma State 103.0. 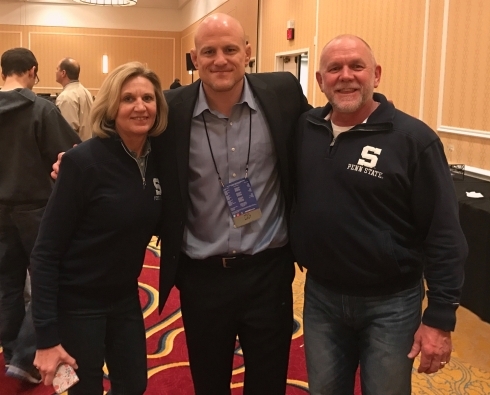 2017 NCAA's - (L-R) Tammy Miller, PSU Coach Cael Sanderson & Scott Miller. 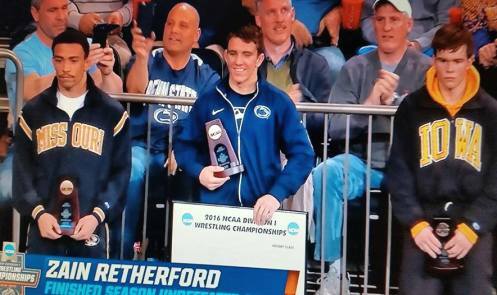 2017 NCAA's - (L-R) PSU's Zain Retherford & Scott Miller. 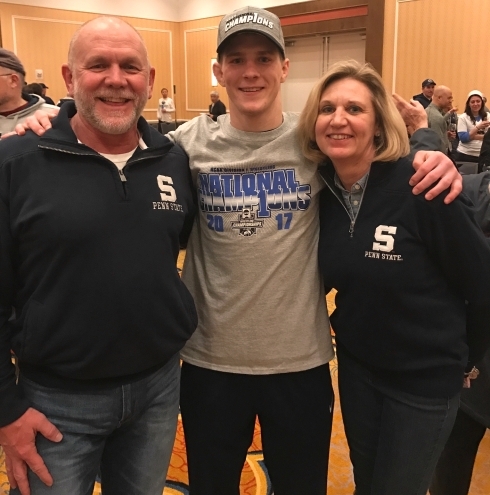 2017 NCAA's - (L-R) Scott Miller, PSU's Jason Nolf & Tammy Miller. 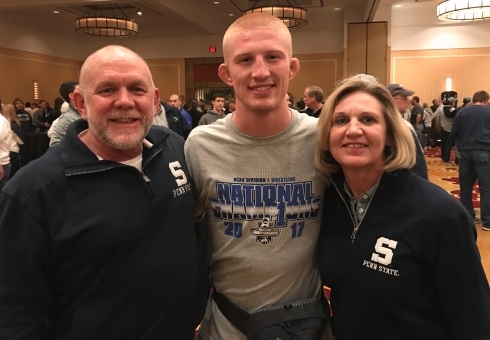 2017 NCAA's - (L-R) Scott Miller, PSU's Bo Nickal & Tammy Miller. 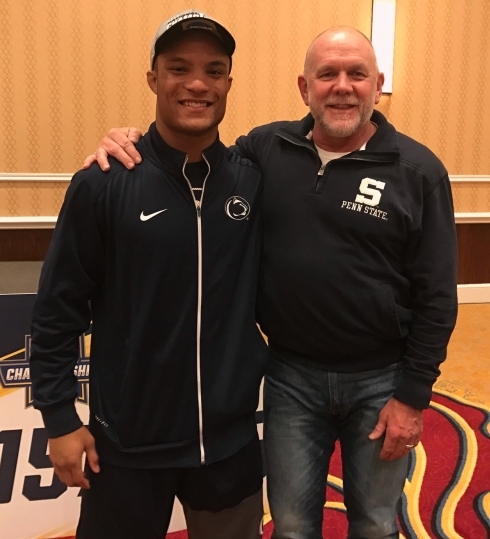 2017 NCAA's - (L-R) PSU's Mark Hall & Scott Miller. Road To Hershey... ALL 2017 PIAA Brackets! 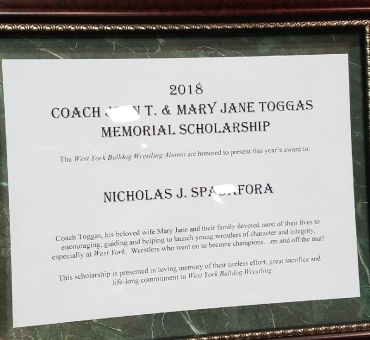 Tom Elling's PA Wrestling News/Brackets! Road To Hershey...ALL Section/District/PIAA 2017 Brackets! *2 YAIAA Section AAA Champions (Billy Randt 2010, Garrett Stauffer 2015). *3 PIAA State Qualifiers (Billy Randt '10, Kyle Narber '13, Garrett Stauffer '15). * 2016 YDR YAIAA Wrestling All-Stars...! 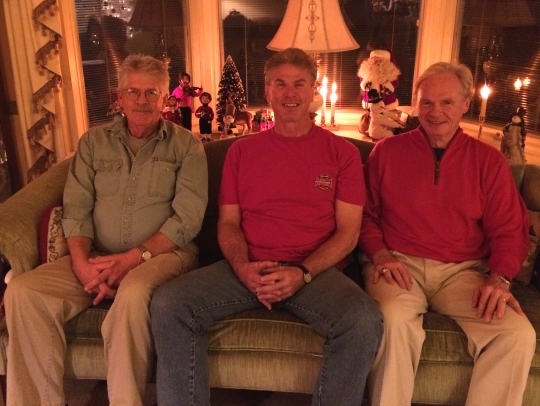 (L-R) Bob Lehman, Don Lehman & Fred Lehman... Christmas night. 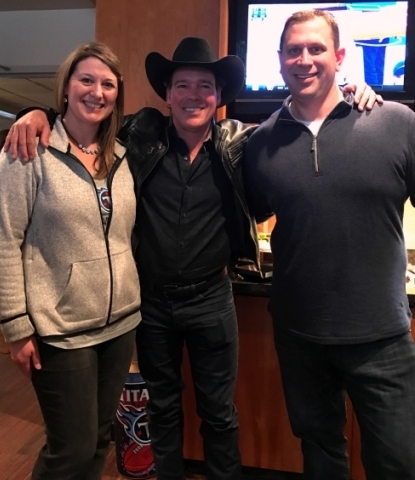 1/1/17 - (left) Dr. Kim Lehman, Clay Walker & Eric Lehman in Eric's suite at a Tennessee Titans game. 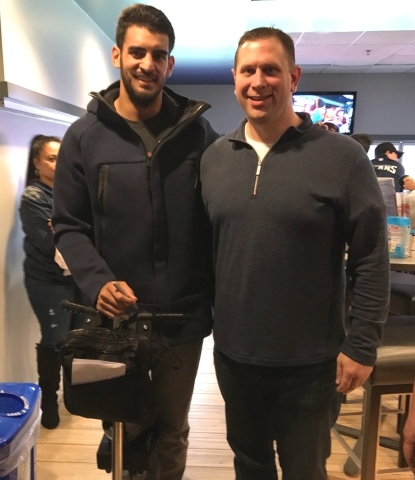 1/1/17 - (right) NFL Tennessee Titans Quarterback, Marcus Mariota ... with Eric Lehman, Esq., WY '96. 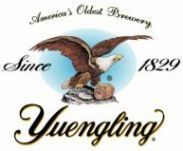 12/19/16 @ BrewVino's... Don Lehman, Steve Rubesch & Bill Heidlebaugh. 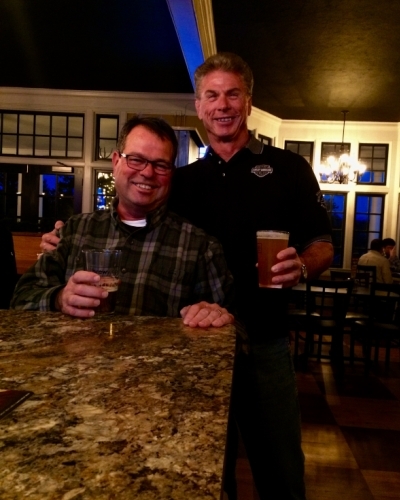 Fred Wise @ BrewVino's @ Grandview Gold Course... York, PA.
as most tourneys such as...KOM, Beast, Ironman, Manheim, Top Hat. 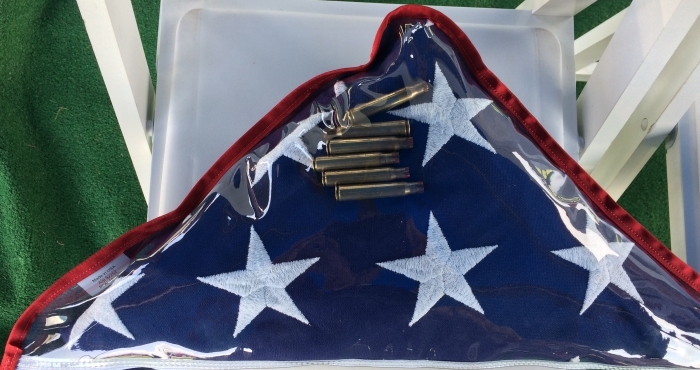 Cost is $35 and will ship immediately. Order Link - HERE! 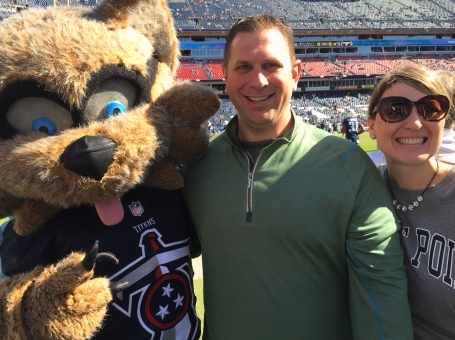 @ a Tennessee Titans/Indianapolis Colts game. 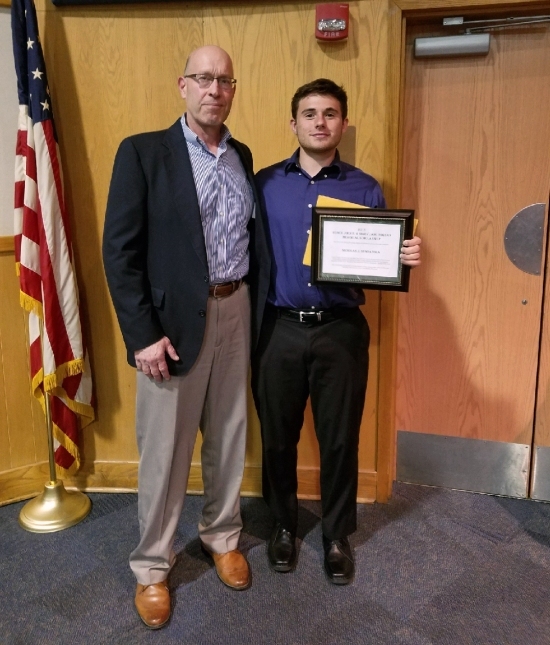 ▪ Eric is a 2-time PIAA State Wrestling Qualifier. 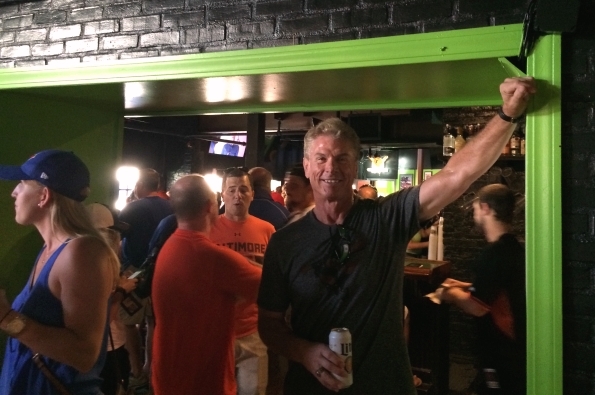 8/29/16 - Don Lehman @ Pickles Bar before the O's/Blue Jays game. 8/29/16 - (L-R) Don Lehman, Bill Heidlebaugh, Monty Blevins & Delane Leedy, II. 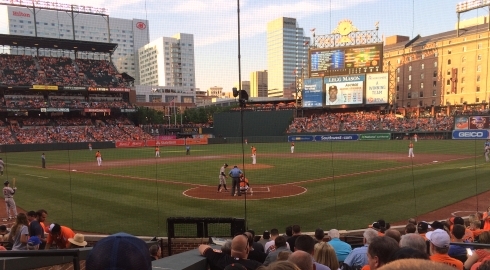 8/29/16 - Baltimore Orioles batting against the Toronto Blue Jays. 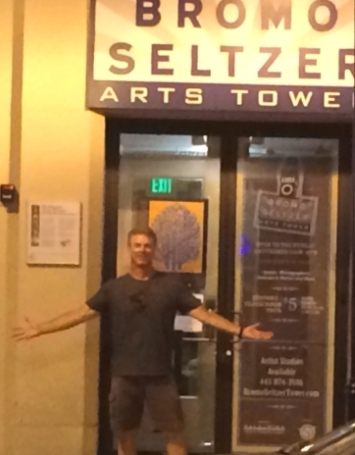 8/29/16 - Don Lehman @ the Bromo Seltzer Building in Baltimore, MD. 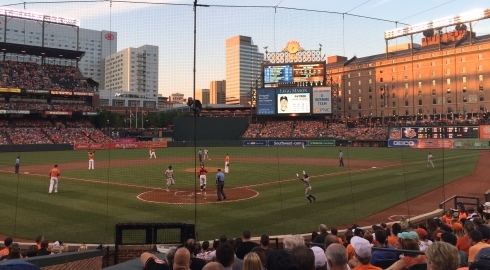 8/20/16 - O's Game vs. Houston Astros @ Camden Yards. Great Seats!! Thanks, Steve Rubesch!! 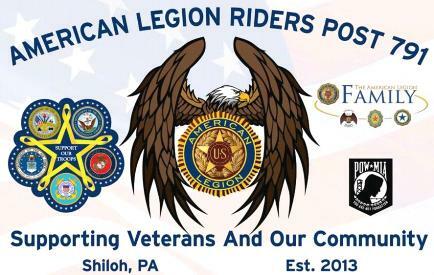 ▪ 7/29/16 - In the Bob Blecher/Jim Senft "The Real Slinger!" "Over $9680.00 raised the last 6 years for charity!" 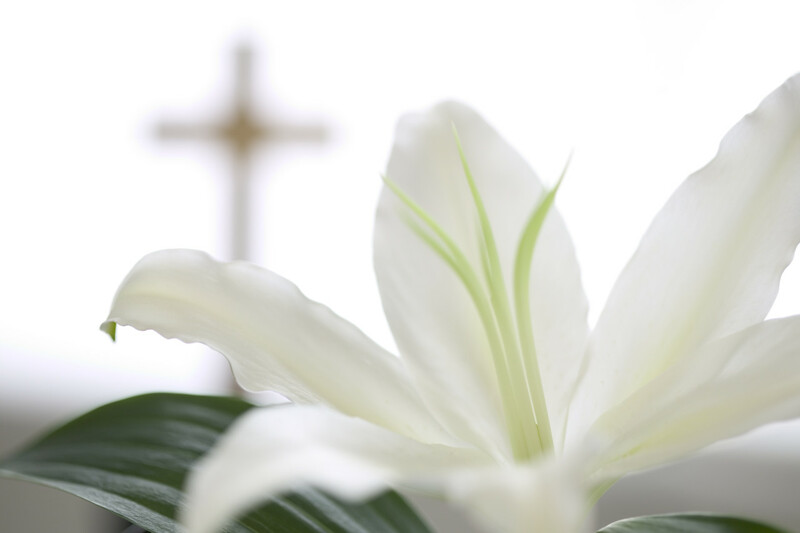 Rest in Peace, Coach Heckard! 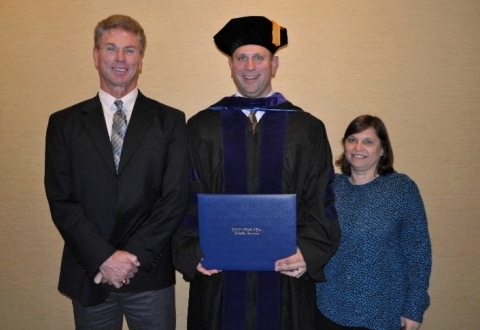 (center) WY Alumnus Eric Lehman, Esq., with wife Dr. Kim Lehman. 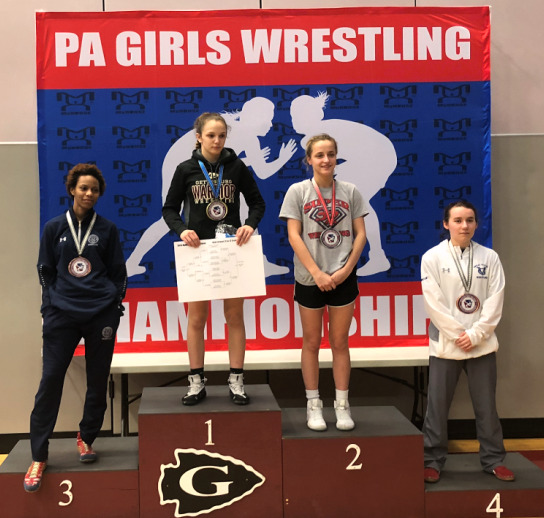 Carly Gross, Team PA - Schoolgirl Division (105lbs.) 4th Place (All-American). *Carly went 2-2 in the tournament to earn her All-American status! ▪ Above Photos: Left - Carly Gross w/4th place medal & All-American certificate. 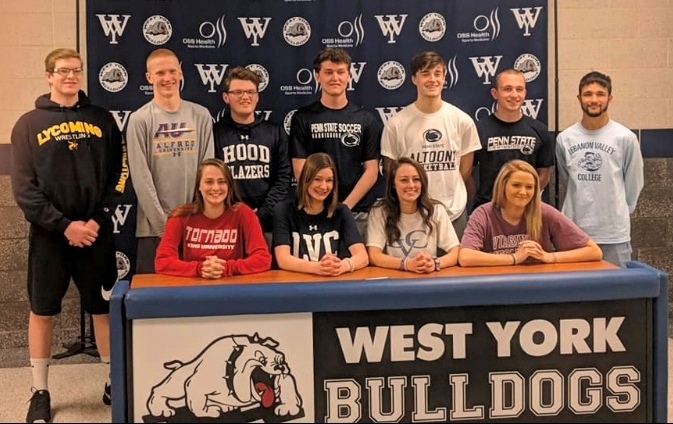 Kayla Kehr (Spring Grove) & Carly Gross (West York Area). *Carly Gross is the daughter of West York Area HS Head Coach - Brian Gross. 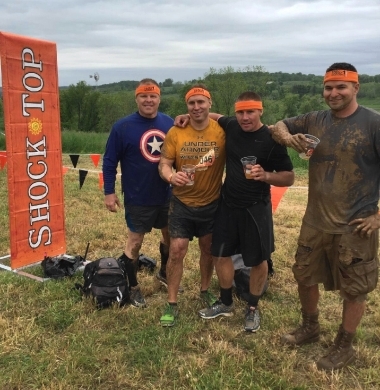 "Tough Mudder" event in Philadelphia, PA - Lynn & Todd finished the event! Lynn Anderson is a *Northern (York) Regional Police Officer. 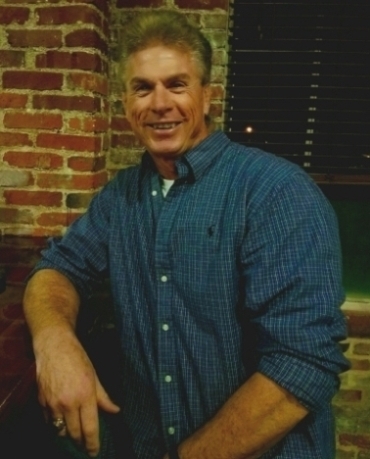 Todd Lehman is a Territory Sales rep for Swisher Sweets Co.
Eric S. Lehman, J.D., Esq. graduate and ... 2-time PIAA State qualifier. 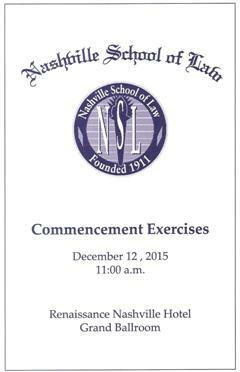 from the Nashville School of Law in Dec. '15. PA Wrestling Hall of Fame Banquet! ∙ Front Sitting Row (L-R) Doug Buckwalter, Bob Derr, Gib Fink, Bill Luckenbaugh. ∙ Back (L-R) Tom Teagarden, Robbie Waller, Col. Dave Warnick, Ken Wunderley. 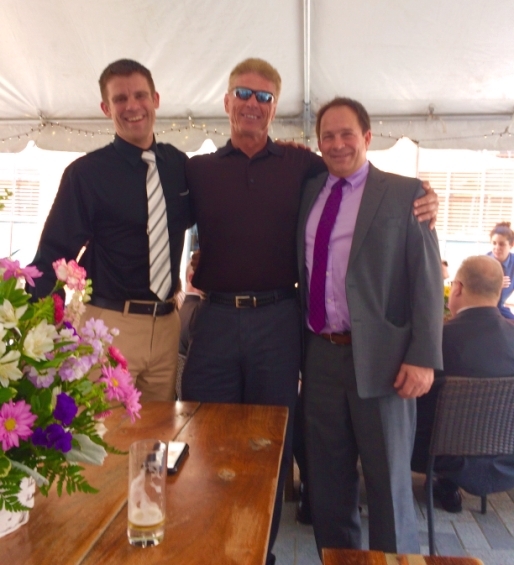 ∙ (L-R) Jim Rivello, ESSC '77 Alumnus... Gary Kessel & Sam Coursen. 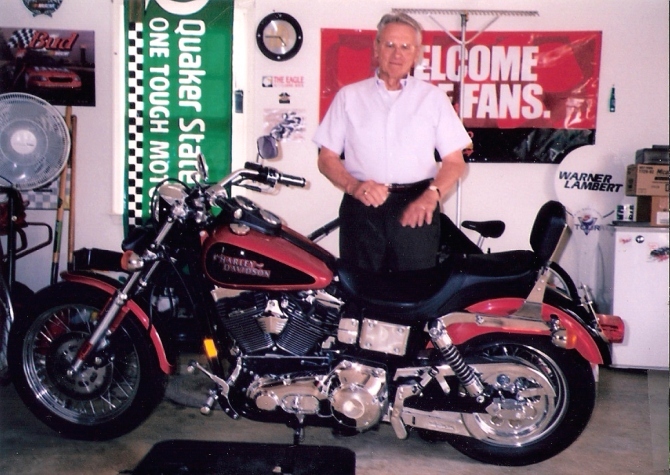 ∙ (L-R) Chad Luckenbaugh w/dad, PWCA HOF'er... (WY/ESSC) Bill Luckenbaugh. ∙ WY's/ESSC's Bill Luckenbaugh receives his 2016 PWCA Award. 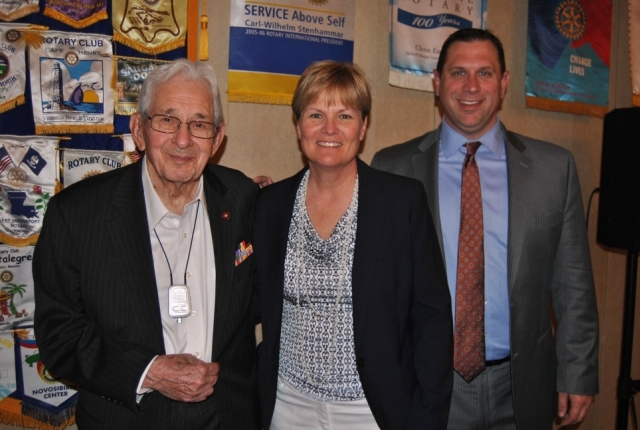 (L-R) Ron Frank, PWCA VP; Luckenbaugh & John Reynolds, PWCA President. 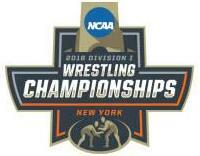 2016 NCAA Division I Wrestling Championships @... MSG-NYC. 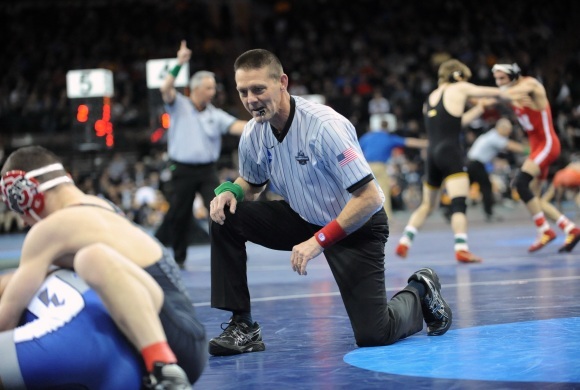 ∙ ESSC Wrestling Alum, Gary Kessel '77, officiates a match. 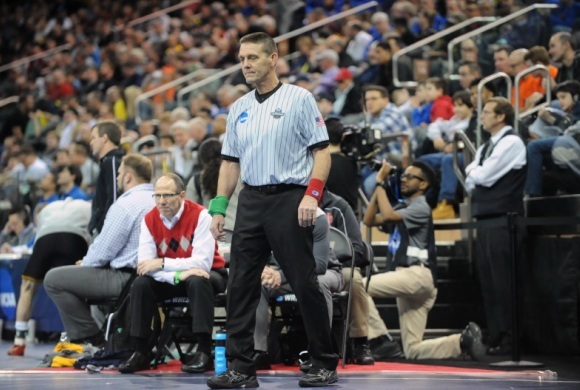 ∙ ESSC Wrestling Alum, Gary Kessel '77, officiates a NCAA match. Achievement Award" @ the 2016 NCAA DI's - for refereeing. there was fantastic fellowship. Thanks, gentlemen! 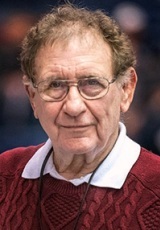 Kevin McCleary has retired as Dover JH Head Wrestling Coach. KEVIN MAC'S...WY/F&M CAREER BIO PAGE! EVERYTHING... 2016 PIAA State Tourney! My 2016 PIAA "Post-Season Page!" '13-14 (10-10), '14-15 (11-8), '15-16 (6-14). 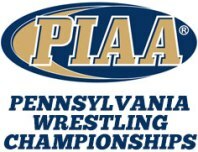 2015-16 PIAA District III Wrestling News! 2015-16 PIAA District III Power Rankings! ▪ 2/12/16 - West York's Randy Blasdell '78, Scott "Pappy"
for the annoying traffic! Thanks Randy, for setting up this annual trip*. *also in attendance (in back of us) was Donegal's Scott Goodwill. 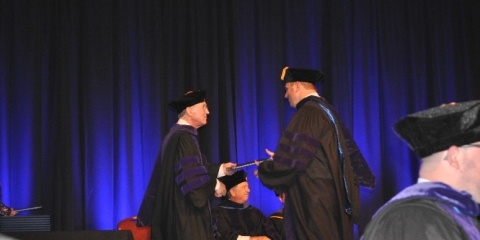 2015 Doctor of Jurisprudence (J.D.) 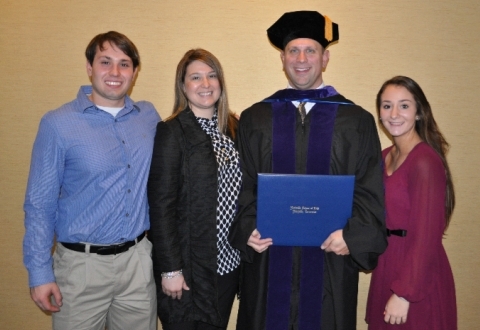 Law Degree! 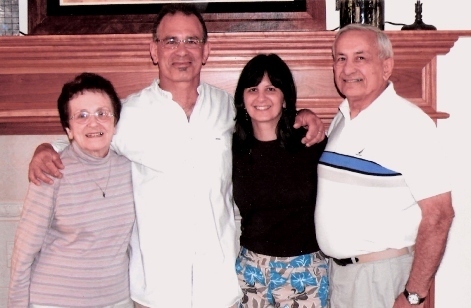 (L-R) Don Lehman '73, Eric Lehman, J.D., '96 &... Debbie Lehman. (L-R) Connor, Dr. Kim, Eric & Taylor after Eric's graduation ceremony. NHL Hockey game after Eric's Hilton graduation mixer. 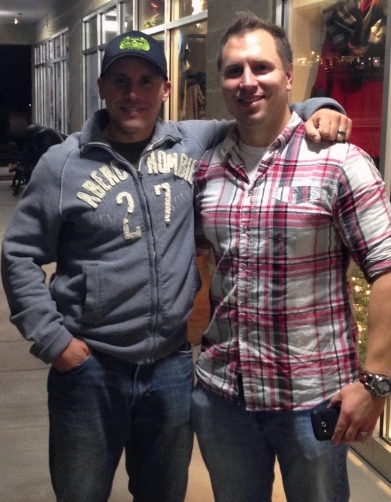 2003 WY Football Alumni... Lynn Anderson & Todd Lehman '04. 11/27/15 photo by Kelli Lehman. to be inducted into the 2016 class! T. Teagarden, R. Waller, D. Warnick, K. Wunderley. "Lucky's" Bio Pages @ West York... & @ ESSC. 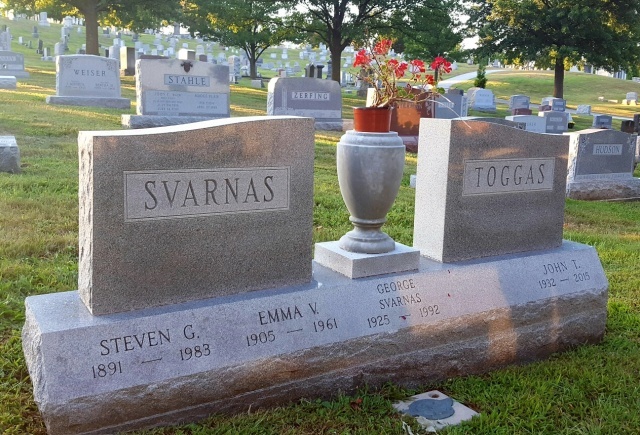 Mary Jane Toggas, Matthew & Samantha Toggas, Steph, Carl & Brock Leinbach. respects to the "Coach." I know Mrs. T. and the extended family appreciated it! 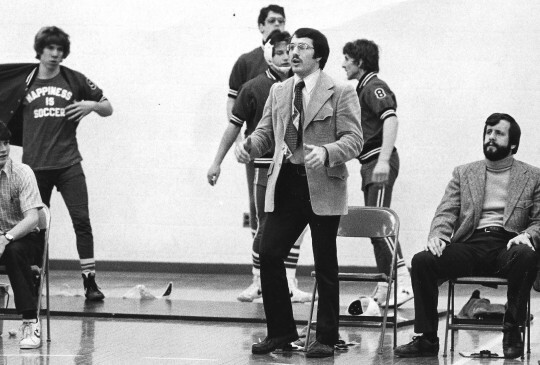 (L-R) The late "Coach" JT Toggas, Don Lehman, Jon Trenge & Matt Toggas. 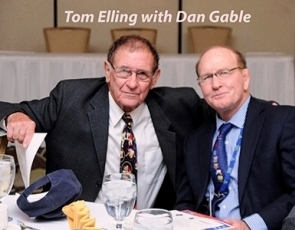 Tom Elling Wins... Dellinger Award! 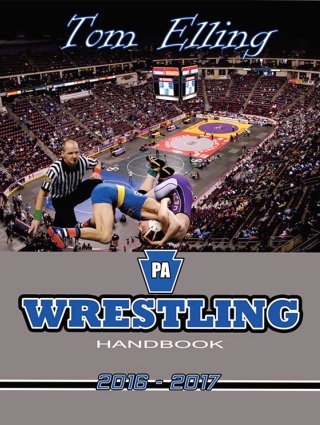 Order Tom Elling's PA Wrestling Handbook... HERE! PA Wrestling's Tom Elling w/Dana Perino, Kimberly Guilfoyle & Andrea Tantaros. "Over $1600 Raised This Year!" 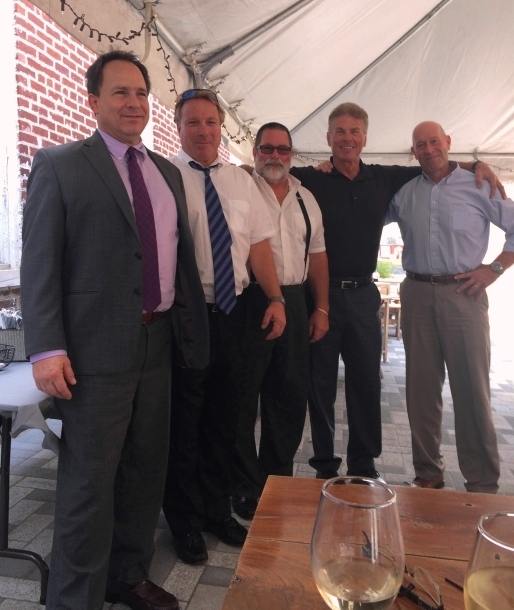 (L-R) Fred R. Lehman, Jeff Spangler, Dave Carley & Greg Reiber. Drive on #9 @ the BW East Course. But - us wrestling alumni had fun! (L-R) Fred Lehman '66, Don Lehman '73, Brian Kuntz '70 & Skip Martin '74. "Thanks Don! It was a great time as always...wish I could even play golf! Guess I better stick to running!" Brian "Packrat" Kuntz. to doing it again!!" 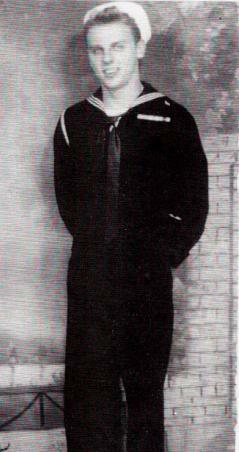 Skip Martin. for golf with a few old "Bulldogs"... cold beer, cigars and stories. Hope to see you again, soon!" 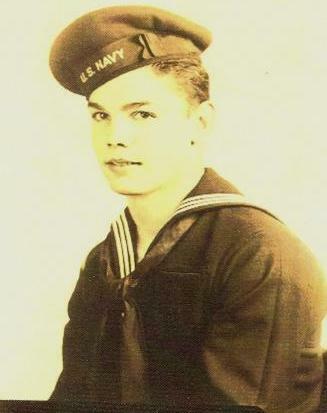 Fred R. Lehman. 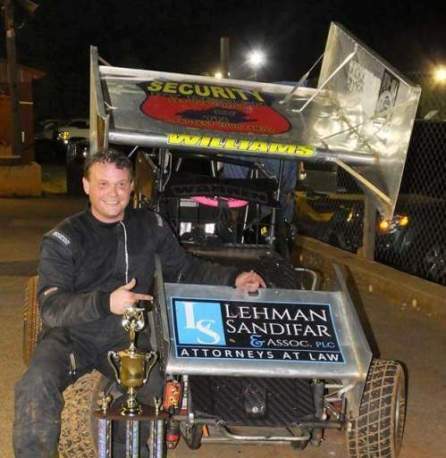 ▪ 7/10/15 - Thanks Randy Blasdell ... and to the "Chaz!" 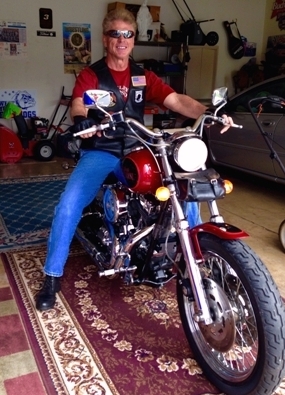 thanks to Chaz & his great wife Mary for the ride, the great beers, cigars & food!! 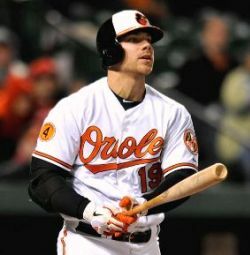 won by the O's... 4-0. 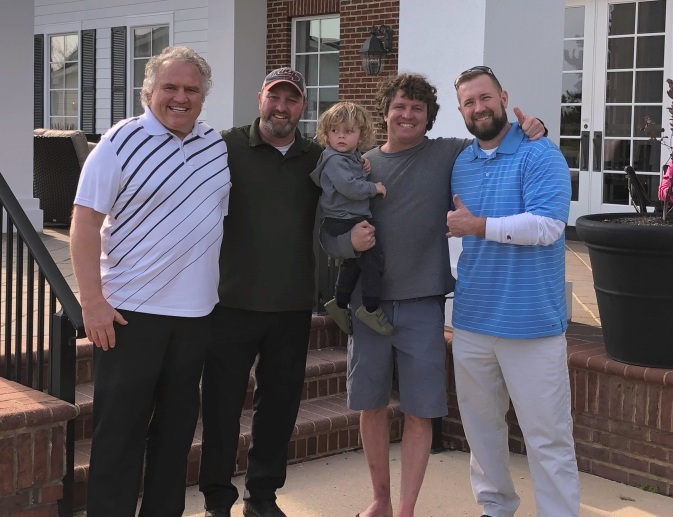 A great time was had - thanks Brad for driving!! 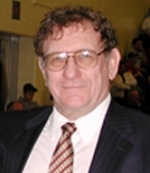 ▪ Norm Palovcsik, HOF Chairman. ▪ Mike Smith, HOF Master of Ceremonies. Jerry Lattimore and Dustin Manotti. Carl Rhodes, Jon Trenge, Gene Waas and Lyman "Beans" Weaver's - wife. GametimePA 2015 YAIAA All-Star Wrestling Team HERE! 2015 YAIAA AAA Sectional Champion @ 152lbs. 2015 District III AAA SC Regional 4th @ 152lbs. *Some Past All-Star Events... '04, '07, '09, '10. YAIAA 2015 Section (V) AAA Mat Tourney 2/14/15 @ SWHS. District III SC Regionals ∙ 2/20-21/15 @ Hersheypark Arena. The 2015 PIAA State Wrestling Championships... AA/AAA. (7 Teams)... 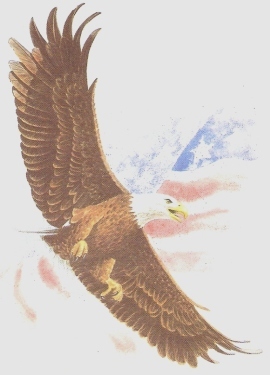 Results - Kennard Dale - Champion! 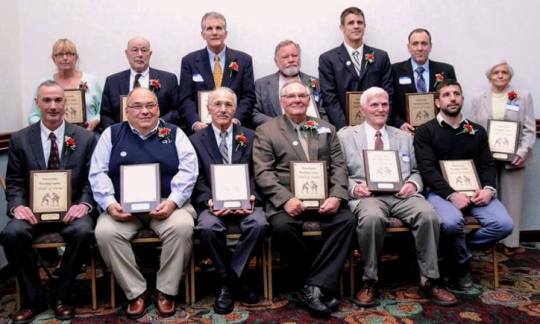 HEISER: "Ex-Dover Coach Jacobs to Join Pennsylvania's Elite"
Coaches Association Hall of Fame. 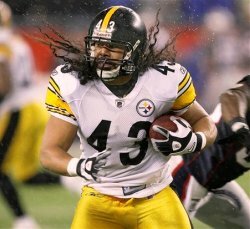 The induction ceremony is set for April 12 in State College. happy to get that recognition." move on and do a better job of raising my son. Wrestling was always in me and will always be there. 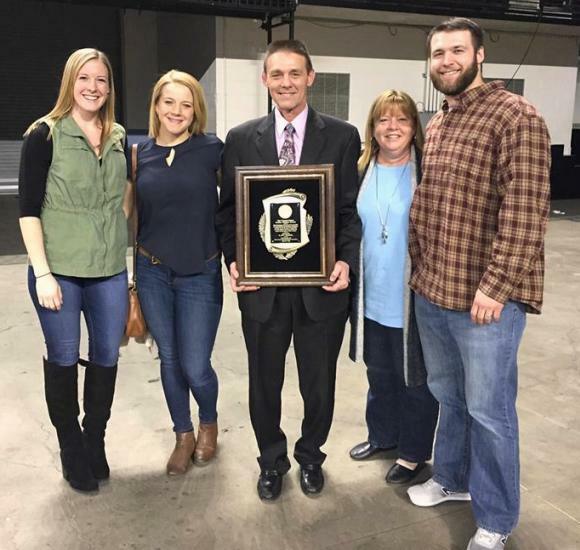 he was inducted into the York Area Sports Hall of Fame. grad and the webmaster for westyorkwrestlingalumni.com, a very-well regarded wrestling website. 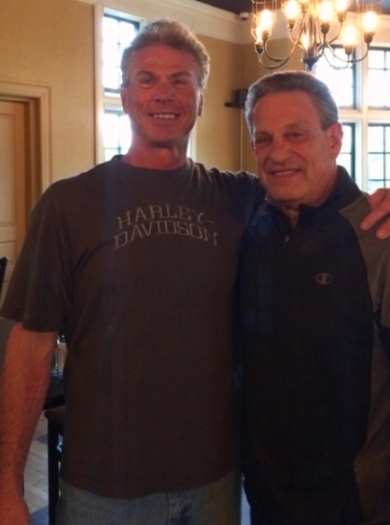 Charlie genuinely cared about every athlete he coached." the sport. "You don't play wrestle. You play baseball. You play basketball. You play football,"
after the effort is put in." Jacobs is a prime example of the type of man that wrestling can mold. rewards. It's an honor he richly deserves. 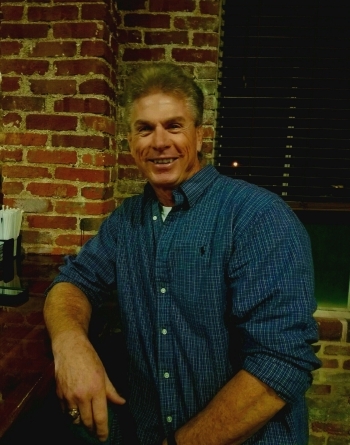 *Sports column by Steve Heiser, York Dispatch Sports editor. 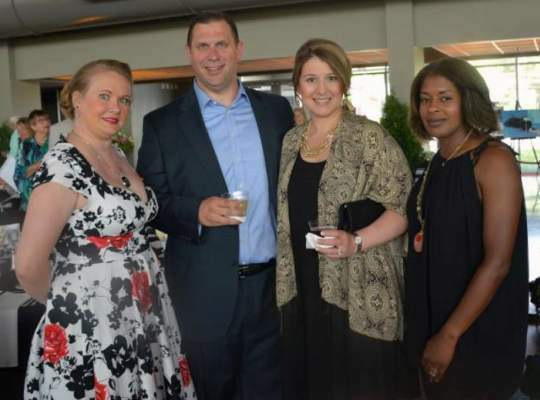 (c) 2014 The York Dispatch. All rights reserved. 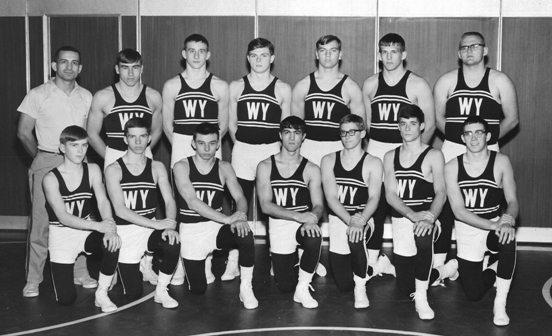 ▪ 1964-65 - YCIAA League Wrestling Co-Champions! Darryl "Smokey" Dennis, Burton Snyder, Steve Kunkle & Tom DeLong. 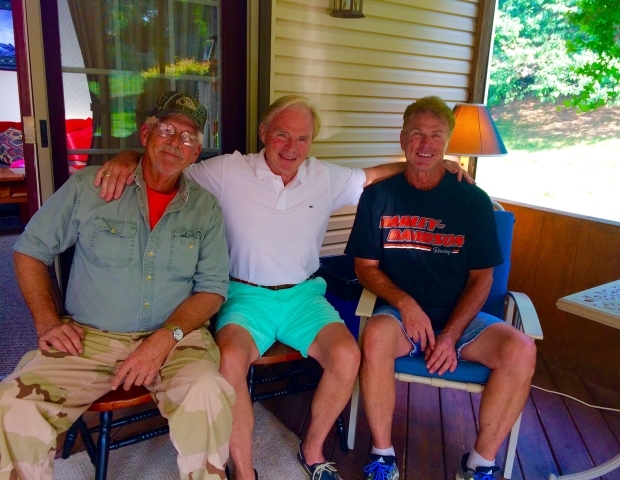 Fred Lehman, Charles "Chuck" Bostic, Gary Narber & William Wiehe. and NCAA Division II titles in 1974.
final. 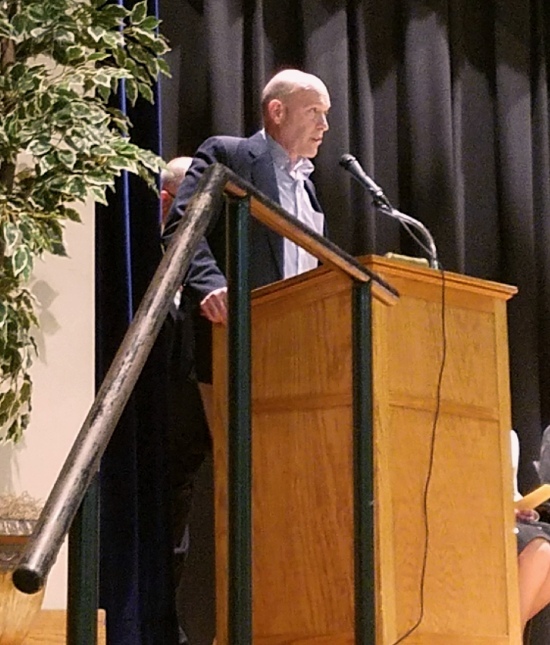 Sprenkle said that, and the entire 1965 West York squad, showed his team how to be successful. championship from 1963-1965, amazingly with three head coaches: Bob Brown, Ken Ober and Toggas. Dana Luckenbaugh was a three-time YCIAA sectional champ. Teammate Darryl "Smokey"
have to work as hard as Bill and I did." 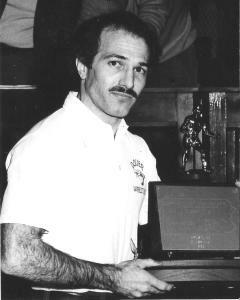 But, Dana Luckenbaugh, who posted a 56-6-1 record as a high school grappler, was one of a kind. Dana. He had extremely long arms and thick hands. When he put a tight waist on you, you knew it. 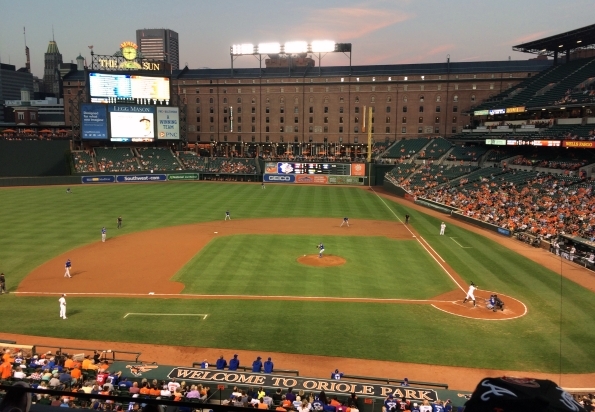 attended the Orioles "East Division" clinching game on 9/16/14! Thanks for the fellowship... gentlemen!! and spending the day with guys who share the tradition of West York Wrestling. "Thanks for having me. I always enjoy playing with West York Wrestling Alumni. West York's Cole Rinehart (top) @ West York Area's Gym. "8/27/14 A WY Wrestling Story!" 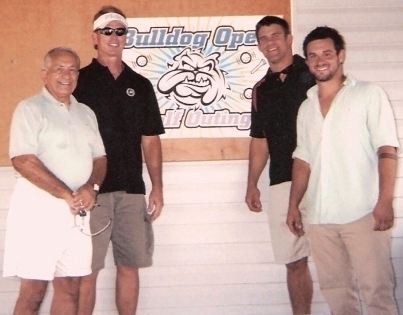 2014 Bulldog - (L-R) Craig Clark, Fred Lehman, Curt LaCoe & Dave Carley. 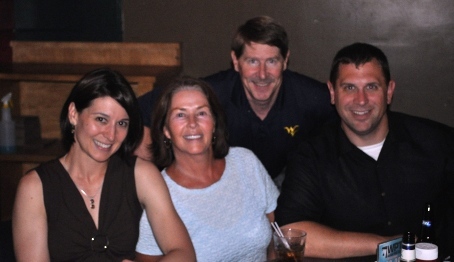 with... Debbie Lehman and the Scheivert family! 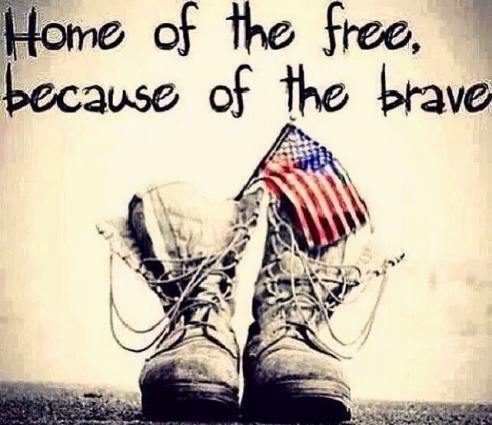 *Also to BWW's Lisa Shaffer... and Butch Dubbs!! 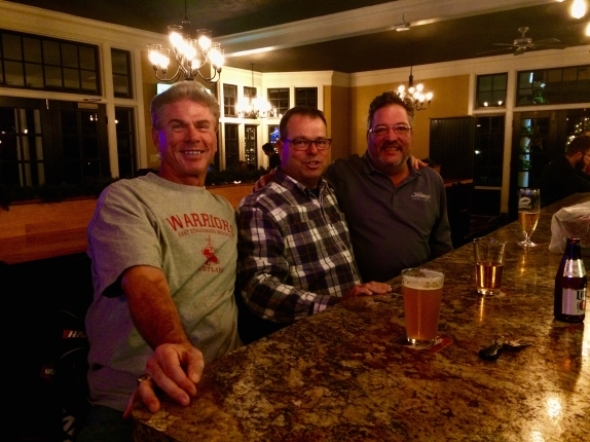 Scott Miller... PGA's Mike Skelly, & Kirk Manges. 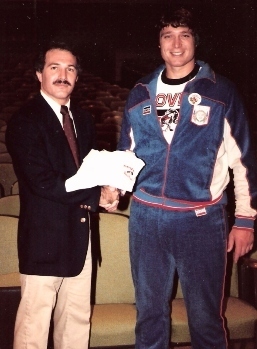 with 1984 Olympic Greco-Roman Wrestling Gold Medalist, the late Jeff Blatnick (right). Blatnick - was also a 2-time NCAA DII Champion in 1978 & 1979 for Springfield College. 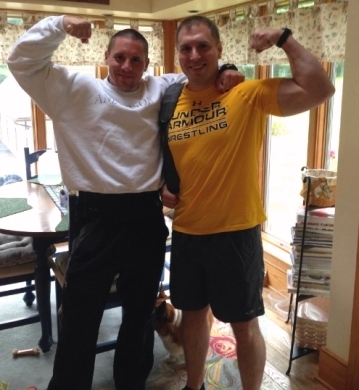 note: Jeff Blatnick is wearing a Dover Wrestling T-Shirt! *Kennard Dale, Eastern York & Gettysburg. 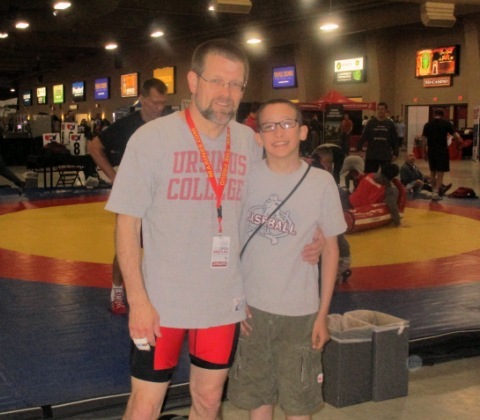 NEWS - York, PA to host National Youth Wrestling Tourney. NEWS - Striving to be Stellar...Chance Marsteller 6/18/14. 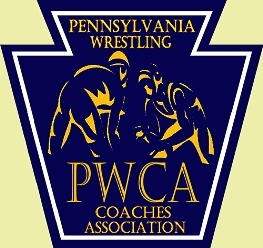 NEWS - PIAA States goes to 20-man brackets for 2014-15. NEWS - D11's Bethlehem Catholic goes to AAA for 2014-15. NEWS - D3 ▪ 4 to PIAA's (AAA) in 2014-15 & ▪ 5 in 2015-16. 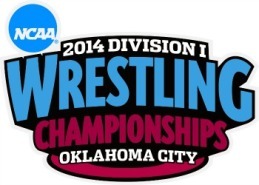 2014 NCAA DI Championships "Recap"
Hanover's Ian Brown (left), BS's Tristan Sponseller (right). PIAA AAA 2014 - Spring Grove's 120lb. Zack Clingan. YDR's Chris Dunn Photo - WY's Garrett Stauffer @ 2014 DIII's. "LAST SEASON'S WY (2012-13) RECAP!" senior year - during the Dallastown/WY dual meet! 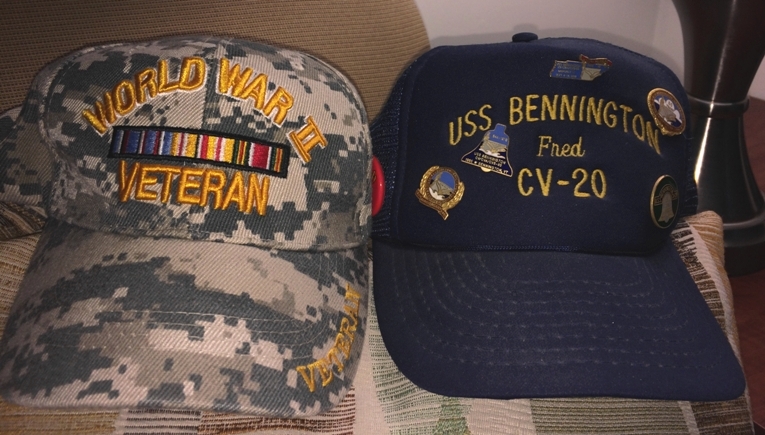 Thanks again, Randy B.! 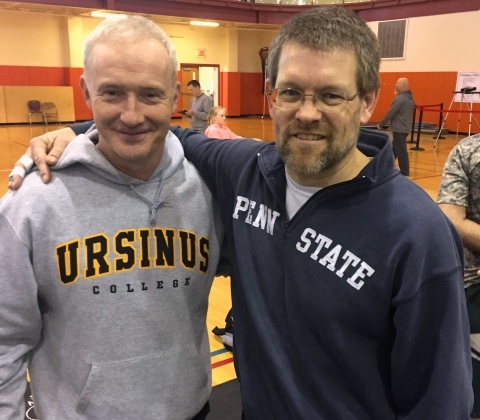 * Also ran into Matt Sloand (ESU 4-year Wrestling Letterman '88) before match! 125lbs: #3 Nico Megaludis PSU tech fall Darian Cruz LEH 19-4 (TF 6:48). 133lbs: #6 Mason Beckman LEH dec. #16 Jimmy Gulibon PSU, 7-6. 141lbs: Zain Retherford PSU dec. Laike Gardner LEH, 10-4. 149lbs: #19 Mitch Minotti LEH dec. Zack Beitz PSU, 4-3. 157lbs: #10 Joey Napoli LEH dec. James Vollrath PSU, 4-3. 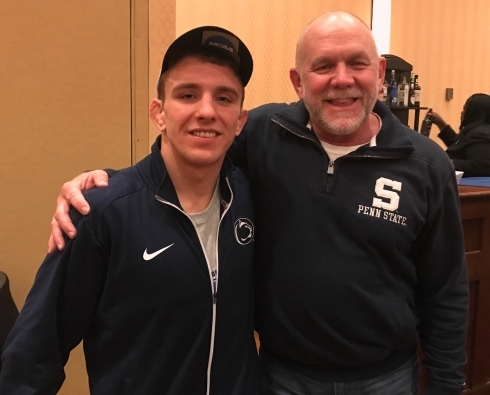 165lbs: #1 David Taylor PSU maj. dec. Brian Brill LEH, 20-7. 174lbs: #3 Matt Brown PSU dec. Elliott Riddick LEH, 8-5. 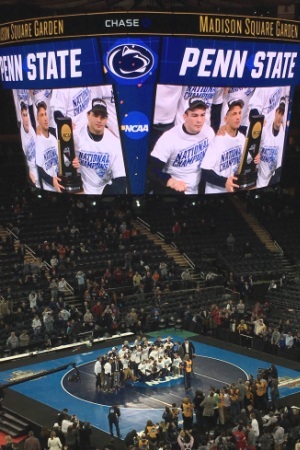 184lbs: Zach Diekel LEH dec. James Frascella PSU, 9-6. 197lbs: #4 Morgan McIntosh PSU maj. dec. John Bolich LEH, 10-2. 285lbs: Jon Gingrich PSU dec. #19 Doug Vollaro LEH, 5-2. ▪ Stabler Arena Attendance: 4,773. Referee - Nathan Chatman.